Our bright-on-white baby shower thank you card is just a little bit sassy - in the sweetest way. Pair it with its matching birth announcement for a stylishly coordinated look, or use it on its own. 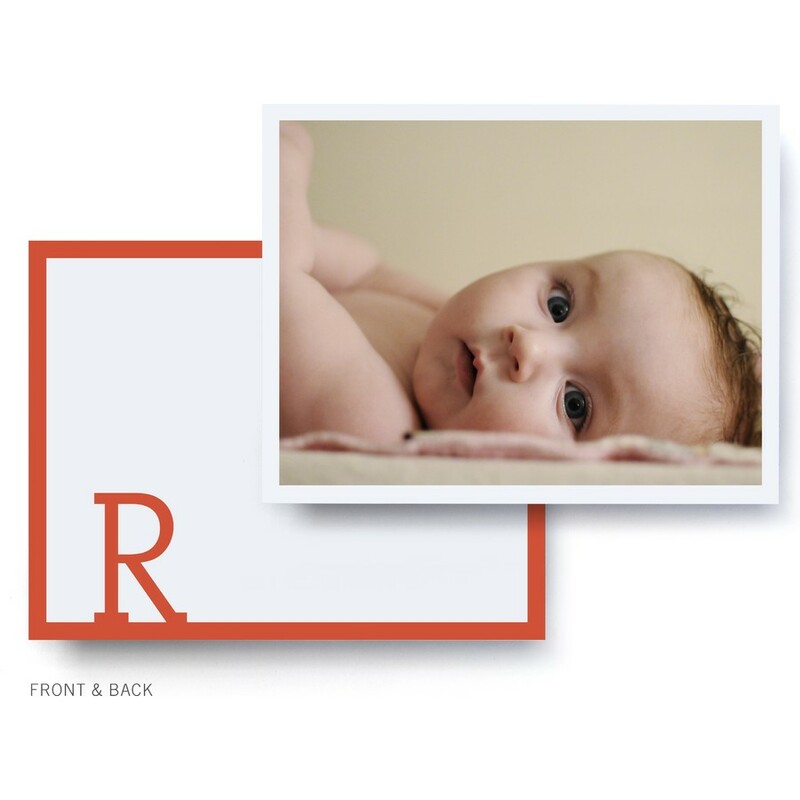 It's a snap to add a favorite picture and your baby's initial - especially when the results look this good.